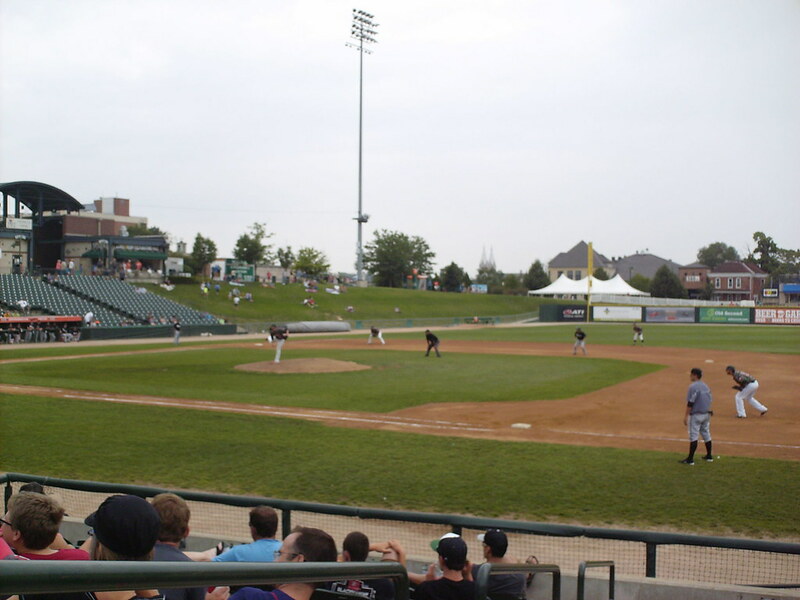 The view from behind home plate at Joliet Route 66 Stadium. 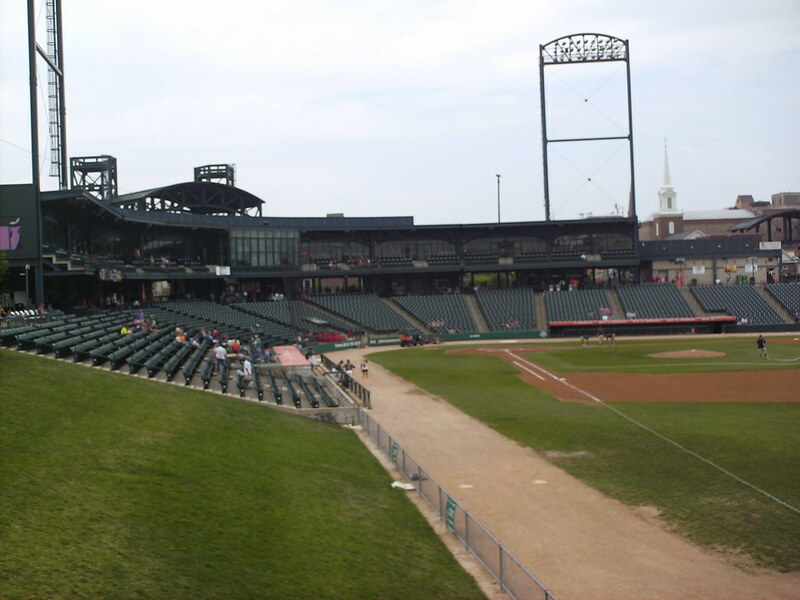 The grandstand at Route 66 Stadium as seen from the right field corner. 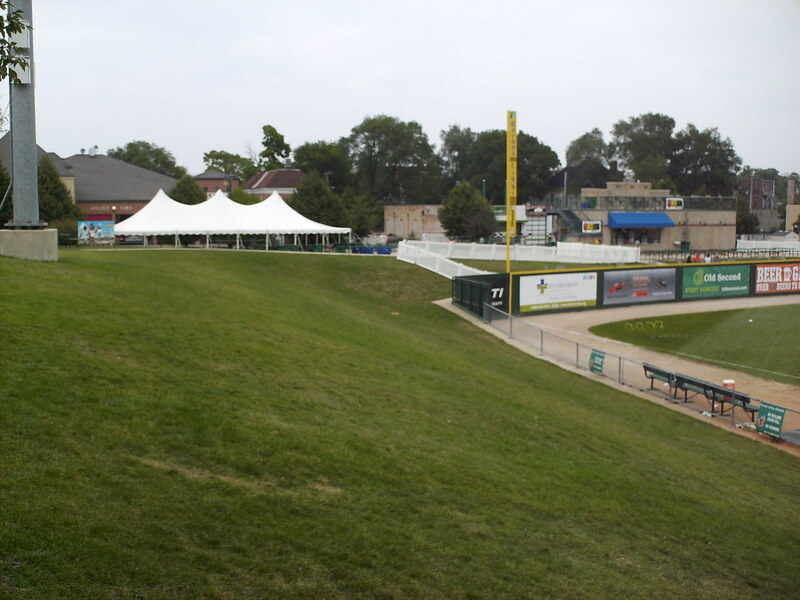 Berm seating wraps around from the grandstand to behind the left field fence. 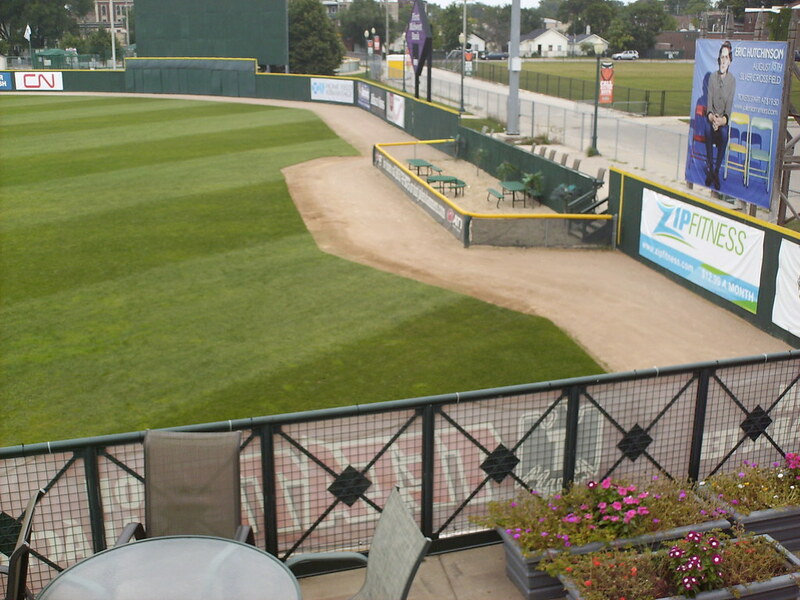 A fenced off group seating area in left field, with elevated table seating at the outfield wall. 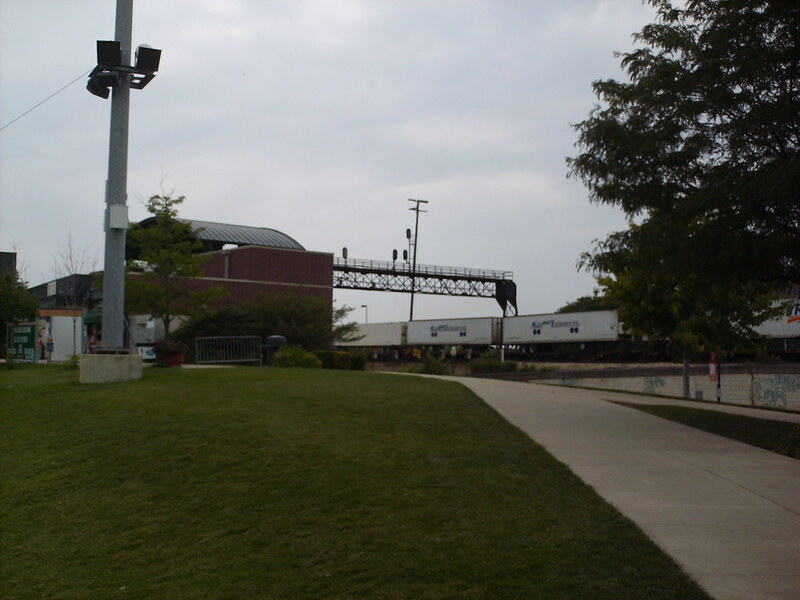 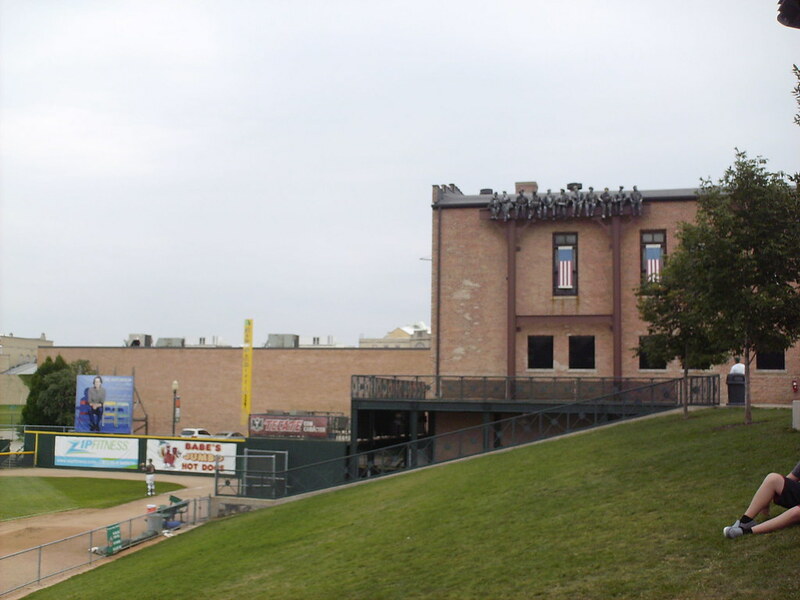 Trains rumble along right by the third base concourse, as Joliet's Union Station sits right across from Route 66 Stadium. 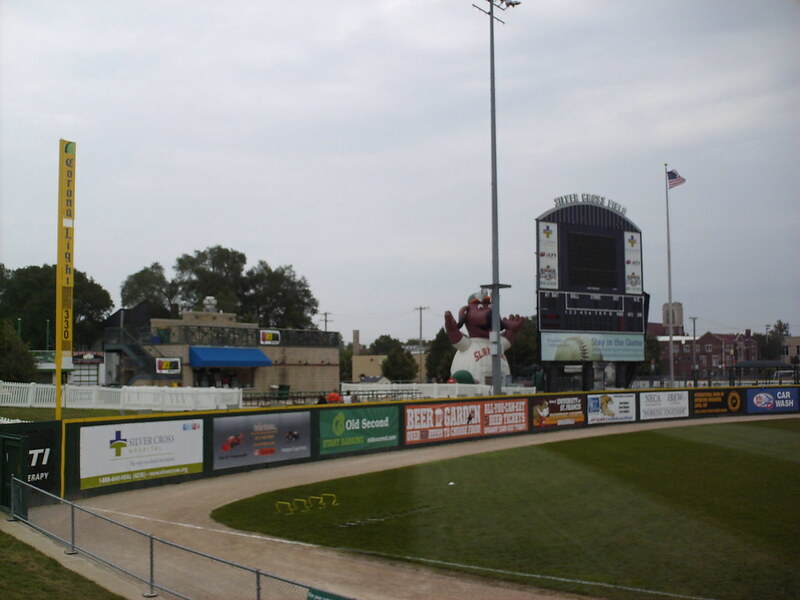 A sculpture of steel workers on an I-Beam overlooks the playing field. 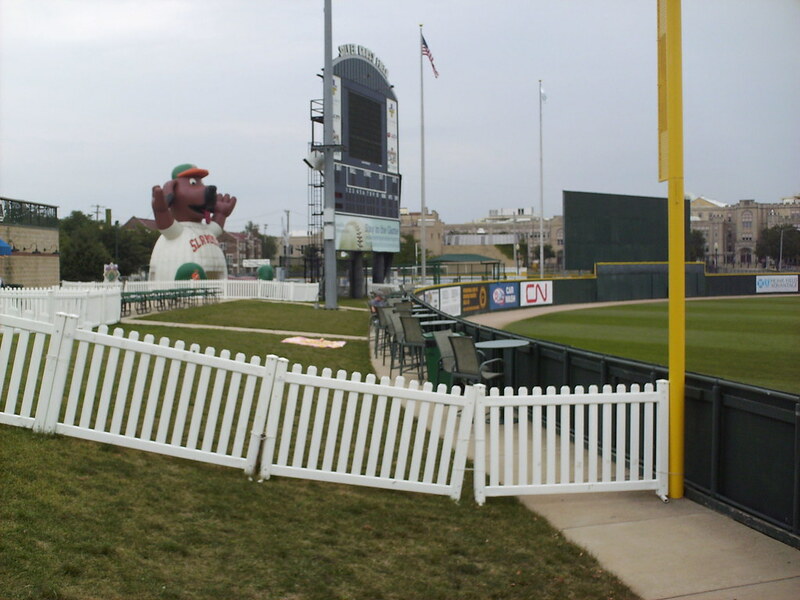 A gardened terrace overlooks a sandy beach area that juts out into right field and features an extremely short fence. 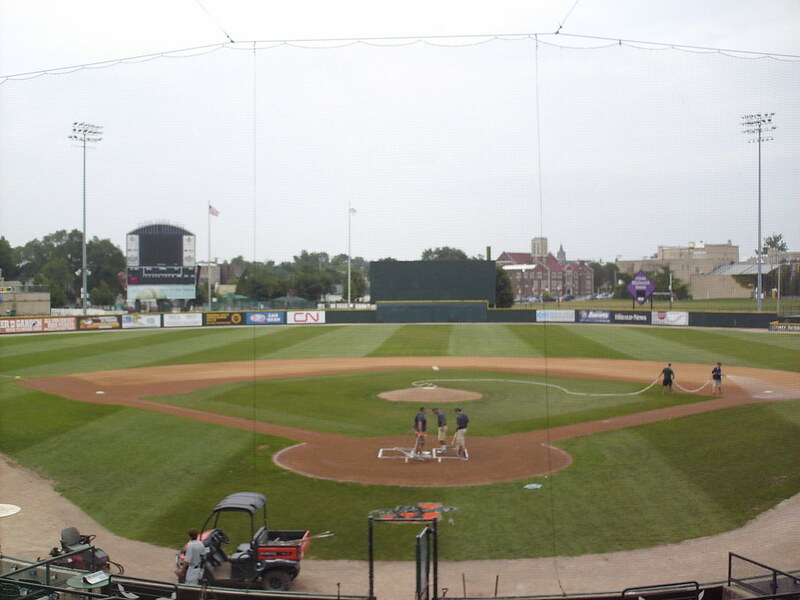 The scoreboard and outfield fence. 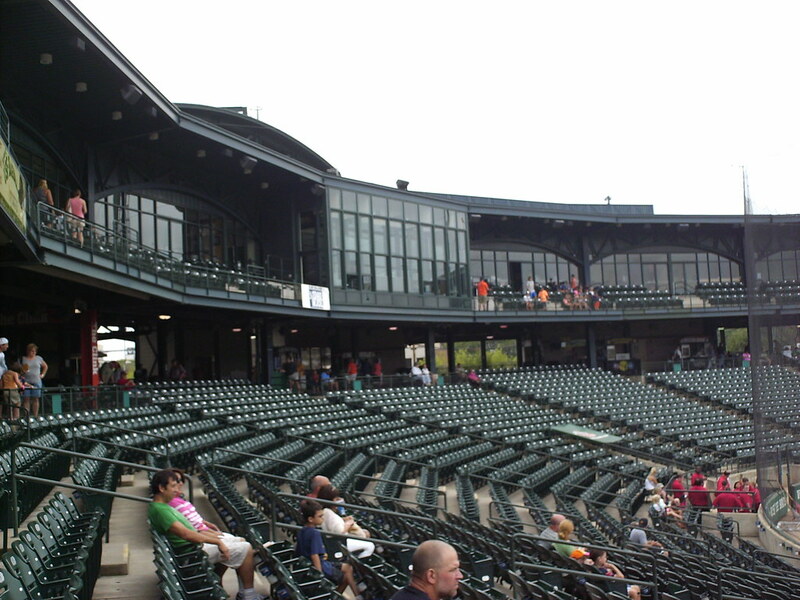 The outfield concession stand features rooftop seating. 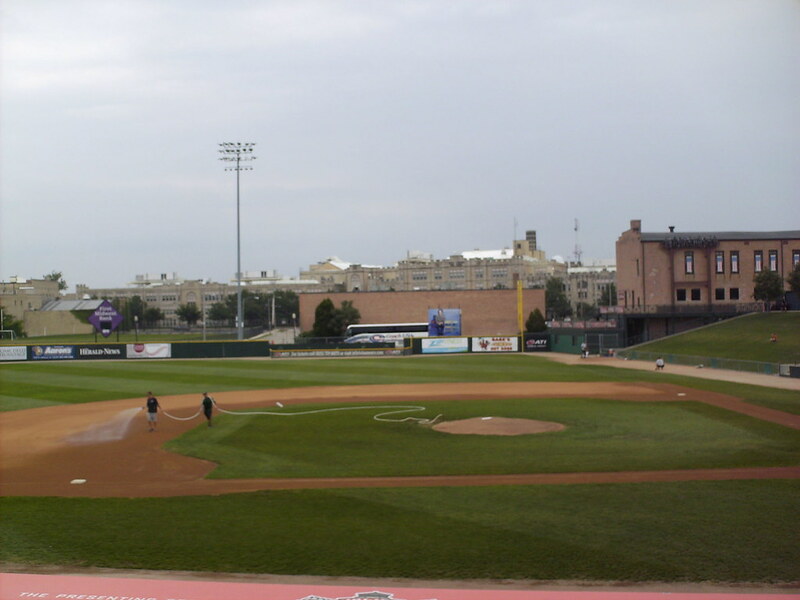 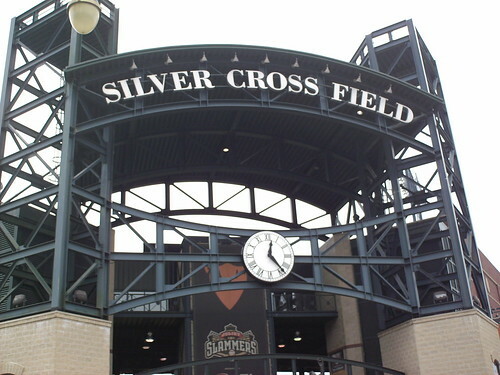 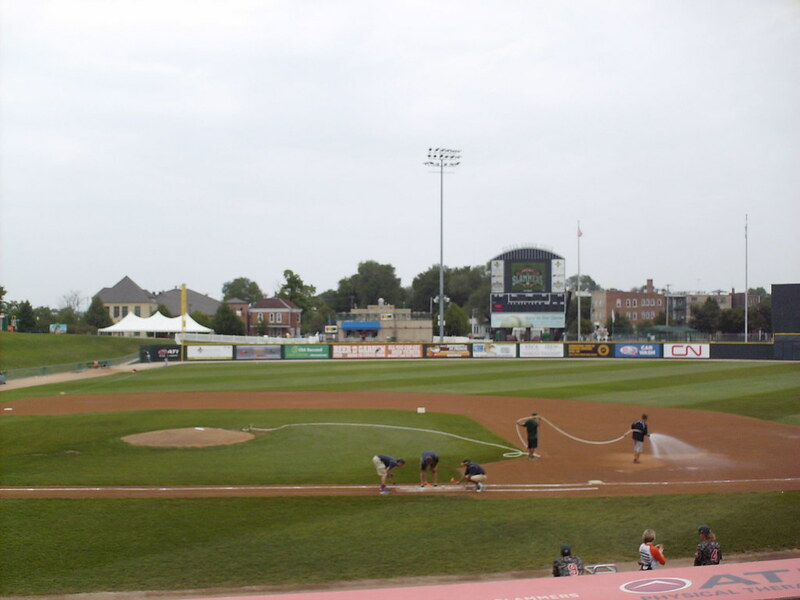 The Joliet Slammers on the field during a game at Joliet Route 66 Stadium.